Life without Windows or OS X: It was 7 years ago I made my first post. My idea was to put the word out to the masses that there was another choice. The big two was not the only ones in town. There was also Gnu/Linux. No it was not Win Xp but if you came to this grassroots os because you believe it to work just like or was a cheap copy Windows, you would be very disappointed. 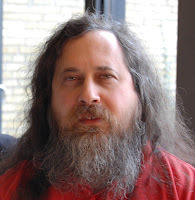 If you heard that Gnu was better we must understand that it is impossible for anything to be better than something if it’s completely identical to it. A perfect copy can be equal, but can never surpass the first. So when you gave Gnu/Linux a try in hopes that it would be better, you were inevitably hoping that it would be different. Right? 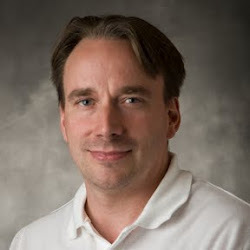 When I first posted I wanted to talk about the Linux kernel was which was conceived and created by Finnish computer science student Linus Torvalds and the Gnu OS was initiated by Richard Stallman. I soon learned that if not for Andrew S. Tanenbaum and MINIX there might not be anything like the Linux kernel in the world today. The principles Tanenbaum applied to MINIX influenced design decisions Torvalds applied in the creation of his kernel. Lindows later called Linspire changed its name in a settlement with Microsoft so that no one would confuse the two operating systems. I rediscovered Linux through Linspire 4.5. It was easy to install and it could do pretty much everything that Windows 2000/ XP could. The biggest issue that I had at the time was lack of good flash support. In 2005 I was using Linspire version 4.5/5.0 on a custom made desktop pc. I soon I bought the Balance 14.1" Laptop, 1.2 GHz VIA C3 Processor, w/ Linspire 4.5. Later I bought the Dell Inspiron 1420N 14.1'' notebook Core 2 Duo Intel Processor w/Ubuntu. Last but not least I now have the System76 14.1'' Lemur Ultra laptop, which has the 3rd generation Intel Core i7 w/Ubuntu. Over the years for me the 14.1-inch has always hit a sweet spot between performance and mobility. Sad to say even after 7 years, you still can't just go down to your local Best Buy or Sam's Club and get a Gnu/linux laptop/desktop. The last 7 years has been fun. Over the past few years, modern Linux distributions such as Linux Mint has made the open-source desktop user experience into something sleek and simple use. Some would say that Gnu squandered and lost opportunities to capture a meaningful slice of the market. Linux desktop market share remains stagnant at around 1 percent but what is wrong with that? To me there should be a drive to make it better not just getting on as many systems a possible. Who cares about that when GNU applications don't ensure backward compatibility between different versions of their APIs. For a lot years, they have just broke people's code. What about RPM vs. Deb? Why not merge the capabilities of a deb system with an rpm system to create a system that will play well with both formats? Or maybe make a third? Things like that are more important issues than the 1 percent vs. 99 percent argument. AND Yes, some GPL software still can't stand up to some of the commercial alternatives, but that software on GNU costs nothing to use, and it's built by passionate developers who love what they do, and who usually get very little in return. I use Mozilla Firefox web browser, Banshee multimedia player (similar to Windows Media Player) and the Libre Office productivity suite (the Linux equivalent to Microsoft Office, Word, Excel, etc.) are just three examples of free open-source programs found on Gnu/Linux systems. There have been many changes but what has not changed is that GNU/Linux is still freely available, and most are not required to register their copies with any central authority. So even now it’s nearly impossible to tell how many people are using any given Linux distribution. Something else that has not changed in the press, any trojan that affects Gun/Linux is front page news. Successful trojans rely on some bug or flaw to exist. On Gnu, security issues can be raised and patches created by any entity, not just the original software author. These updates are applied and pushed into the repos for all applications. Linux and its distros seem to rule the world in 2012. Google Android, for example, is built on version 3.3 of the Linux Kernel and has a 68% market share. The Gnu/Linux the server is top choice governments, organizations and major companies around the world, like including Amazon and Google. Even Microsoft updated Skype to use secure Linux servers instead of P2P supernodes.